If you're having problems with Dragon Ball FighterZ crashing and freezing on you then have no fear - here's our troubleshooting guide which may solve some of your problems. So often, games and DLC are released with small bugs and issues, which cause some games to crash and freeze. A lot of the time, this can be down to simple issues with your own console or its compatibility with the game. Sometimes, however, they are common issues and bugs which many other gamers are also experiencing. Whether your game is freezing up on you, crashing mid game, not loading properly, or game-play is lagging/disrupted – we are here to help. This guide is simply designed to help fix common issues which arise with some games, we are happy to offer any help to those of you who might be experiencing issues. So, if any of the below issues relate to you, feel free to comment below and we shall see if others are experiencing the same problem and if anyone has a solution. Solution: Eject the disc and give it a clean, it is unlikely that a DVD or BLU-ray disc would scratch itself past destruction so the error could be with a dirty disc lens or simply dust on the disc itself. Get a dry soft cloth and move away any dust or debris which the ‘Dragon Ball FighterZ’ disc may have. If there is a perfect circular scratch running all the way around the disc then this is a Laser Burn and is a common issue with DVD Discs. Fixing a Laser Burn: A laser burn will cause your game to crash, freeze and not load the game at all. There is no easy solution to fixing a Laser Burn as the mark travels so deep through the disc it often causes permanent damage. You can try taking it to your local game store if they have a disc buffer which will hopefully buff the mark out. If this fails borrow a friends copy of ‘Dragon Ball FighterZ’, Install the game, and then try your damaged disc to see if the game will load. If the game loads once it is installed it will not require the disc so much as you play. GUIDE : Check out our complete guide on how to fix un-readable discs and laser burns. If the game does not require a Disc and it runs off a pre installed file which is located on a hard drive (Example: The PS VITA) then the fault may lie with a corrupt installation file. To ensure that this is not the case be sure to try and re-install the game or re-download the game and try again. This will clear up any issues which are connected with a bad install. If your ‘Dragon Ball FighterZ’ game is freezing on the loading screen just after you load your previous safe then this may indicate that either there is a fault with your hard drive or with the save file itself. It is an annoyance but save files can become corrupt if you turn off your console while it is saving your progress. Once you begin to save or during the auto-save period DO NOT switch the console off. Doing so will result in your save file most likely becoming corrupt, un readable and un fixable. Solution: There is no real way of fixing a corrupt save file. However some gamers have suggested that if you clear your system cache then it will allow you to load the save file. Also you can attempt to revert back to an earlier save file before your game was corrupted. If you believe that the save file is not the case and it may be your hard-drive. Attempt to transfer the save file by using a memory card to another hard-drive and try to ‘Dragon Ball FighterZ’ save on another console. 3: “Dragon Ball FighterZ LAGGING ERRORS AND ISSUES. Although ‘Lag” seems to be the number one problem in today’s online gaming it is not always the blame of the game. Just because your ‘Dragon Ball FighterZ’ game is lagging does not mean that your game is faulty. When playing online Lag is the fault of a poor connection to the internet. There are various different factors which may cause you to experience lag while your gaming with your friends. Solution: If you don’t normally experience lag then there may be an issue with your service provider. You can contact your service provider and they will explain if they are experiencing any kind of faults on your line. Failing this if you are running a Wi-Fi connection you may want to try and use a wired connection using a high speed Ethernet cable. It is most likely that it is another member of your household which is downloading something or visually streaming content from websites such as YouTube and Facebook which will decrease your bandwidth and ultimately make your ‘Dragon Ball FighterZ’ game lag. 4: “CANT CONNECT TO Dragon Ball FighterZ ONLINE / MULTIPLAYER / SERVER. 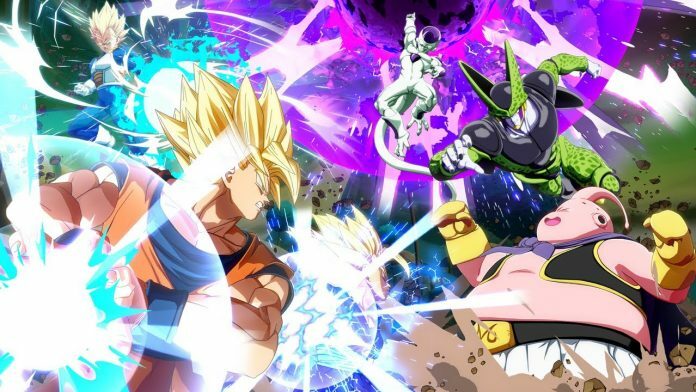 If you are faced with a connection issue with any games and you cannot connect to the online features of ‘Dragon Ball FighterZ’ then the fault may lie with your connection. Even though you are online are you sure you are not behind a firewall? Or maybe your console or computer is restricting you access to the server due to a safety lock. Another possibility is that your current version of the game is not up to date and is causing an issue. Solution: First things first, be sure to check that your running the correct version of the game. If you’re game is out of date then it simply may need an update or patch to use again.To do this simply update the game through the games servers and attempt to connect to ‘Dragon Ball FighterZ’ again. If this still does not work be sure to remove any firewall which may prevent you from connecting to the server. If you are not behind a firewall and be sure to check the support section of ‘Dragon Ball FighterZ’ to see if they are having any issues with their server. If they are having problems and the server is down I suppose it’s time to play the waiting game. If you managed to pre order ‘Dragon Ball FighterZ’ or bought the limited edition or collector’s edition and the codes do not work then it may be a minor fault with the game itself or possibly the fault of the place of purchase. Solution: If you purchased a retail copy of ‘Dragon Ball FighterZ’ and the code was not valid there are a few things that you could do. If the game was sealed and the code is saying that it is not valid then be sure to double check that you have entered the correct code. If after checking it is still not working simply e-mail the customer support team for the game and they will be happy to help you. However you will need a picture of both the game and proof of purchase. If the code has already been redeemed and you are not able to get your extra content or online pass working then please be sure to check out our DLC Code Guides which will give you a variety of different solutions to fix the problem. Problems with sound are very rarely the fault of the game disc and can be fixed in numerous ways. If you are having any problems with sound when playing ‘Dragon Ball FighterZ’ then there are a few steps you can take to ensure that the problem is not a user error and it maybe a fault with your game disc. Solution: To fix sound issues with ‘Dragon Ball FighterZ’ then be sure to check all of the connections between the TV and console. If the connections are okay then you can try and replace any wires which you may believe have become damaged. If you have replaced the wires and you are still unable to hear anything from the game then it may be a fault with the game disc. As long as it is still under warranty then the retailer will be happy to change the game for another copy. 7: IS MY GAMES CONSOLE OR PC FAULTY? WHAT CAN I DO? If you have attemped all of the relevent fixes above and you’re still having issues with your game then there is a chance that your console maybe faulty. Faulty consoles are a nightmare to deal with but once you have the right mindset and the correct knowledge then it isnt such a bother. Solution: If you strongly believe your console is faulty then be sure to check to see if you’re still covered. Most consoles come with a standard manufacturers warranty. This entitles you to a repair or exchange on the console from the place in which you purchased the console. Sometimes the developers can also help wtih a replacement console. As long as you are within your warranty time then feel free to contact the provider. If you purchased the console online then it is even easier to seek a replacement. 1: Dragon Ball FighterZ ACHIEVEMENTS NOT UNLOCKING. It is the most frustrating thing – When you have worked soo hard on an achievment and they do not unlock. However there are a few quick and easy tips on how you can prevent this from happening. Solution: If you ever encounter this fault with ‘Dragon Ball FighterZ’ we recommend you restart the console and check for ‘Dragon Ball FighterZ‘ updates which may be available via online. If your game is currently up to date then be sure to check out the customer support and inform them of any faults like this. You may not be the only one to experience it. If you are experiencing visual issues and graphic bugs then this could be a few reasons. Solution: Be sure to make sure that your HDMI cable is inserted fully to ensure that is not the problem. Also be sure to monitor how hot your console is, if your console is overheating this might pave the way for unexpected console restarts and graphic glitches. As stated above, if the Xbox One is running hot then it will warn the gamer and if it is unable to cool down will then be forced to power down to prevent future damage. A console shutting down can also be caused by your power plug. If you want to ensure that your console is healthy then try unplugging your console and jacking it in somewhere else. This will hopefully shed more light on what the issue is. Solution: Make sure that your console is in a well ventilated area with a lots of room to breathe. Make sure that all of the exhaust fans are not clogged up with any dust or worse. Once your console has turned off, leave it off for roughly two hours before attempting to restart it. If you continue to run the console while it is overheating you risk causing permanent hardware damage which would not be covered by the warranty. If you’re worried about your XBox One and are wondering if you’re entitled to an exchange or repair then please return to the place of purchase with your receipt and comply with their store policies in order to get an exchange. As cool as the Kinect 2.0 is on Xbox One, gamers have reported several issues which prevent games from loading, working effectively and worse. Before we continue please be sure to double check that ‘Dragon Ball FighterZ’ is compatible with the Xbox One Kinect. Solution: If you are still struggling with any faults with the Kinect then attempt to restart the console in order for the Kinect to reboot and sync correctly with ‘Dragon Ball FighterZ’. Be sure to update your Xbox One console so it has all of the necessary Kinect one updates. If this still fails you then you should contact a Microsoft representative who can help you. Perhaps they can send you out a new working unit. The XBox One has an incredible ability which allows it to automatically update your latest games upon launch. This means that developers will release updates over time which will help with bugs and fixes, crashing errors, balance issues and also add additional content. Sometimes due to client in-compatibility you will not be able to play online and use some specific features. Solution: Ensure that your XBox One is connected to the internet. This will allow for it to automatically download the latest update for ‘Dragon Ball FighterZ’. Sometimes insufficient space on your hard drive may be the issue so ensure there is enough on your XBox One. If the game has no automatic update feature available then more than likely you will find it in the game settings. If your XBox one will not update then please be sure to check your internet connection. 1: ‘Dragon Ball FighterZ’ TROPHIES NOT UNLOCKING. Sometimes Trophies may not unlock while completing that epic boss battle or racing for the fastest time. If you ever encounter this fault with ‘Dragon Ball FighterZ’ we recommend you restart the console and check for any updates which may be available via online. Double check that your connection with Playstation Network is fluid and without fault. Some games require you to be online for certain trophies to unlock. Solution: Sometimes trophies can be effected by a multitude of issues such as running the latest update of the game, connection issues with the internet or simply a sly bug still running within the game in which the developer has yet to fix. Sometimes when a console crash or simply turns off it can be various issues. However the major culprit is overheating. Consoles run hot for lengths of time and without the correct treatment can cause crashes and sometimes permanant damage. If you experience this while playing ‘Dragon Ball FighterZ’ on Playstation 4. We have a few tricks that might save the day. Solution: Before anything be sure to connect to Playstation Network and download any current or new updates for both the PS4 and ‘Dragon Ball FighterZ’. Follow our overheating guide which will allow you to clean your console and remove any debris which may be causing the fault. If this fails to work it may be a damaged save file or hard drive information. Begin a brand new game on ‘Dragon Ball FighterZ’ or alternatively you can do a complete system restart in order to fix any hard-drive issues. It is important to run the latest update of the games available today. Developers will release updates over time which will help with bugs and fixes, crashing errors, balance issues and also add additional content. Sometimes due to client in-compatibility you will not be able to play online and use some specific features. Solution: Ensure that your Playstation 4 is connected to the internet. This will allow for it to automatically download the latest update for ‘Dragon Ball FighterZ’. If the game has no automatic update feature available then more than likely you will find it in the game settings. If your Playstation 4 will not update then please be sure to check your internet connection. Solution: Ensure that your PC is connected to the internet. This will allow for it to automatically download the latest update for ‘Dragon Ball FighterZ’. If the game has no automatic update feature available then more than likely you will find it in the game settings. If your Steam Client will not update then please be sure to check your internet connection. PC’s are sometimes awkward to get right. Due to their large amount of changeable componants sometimes incompatibility between devices can sometimes effect your PC. Or possibly your Graphics Card is not quite as powerful as you would like it to be. Regardless of the issue if you’re experiencing freezing, stuttering or crashing on ‘Dragon Ball FighterZ’ then we can help. Solution: First things first it is ideal to ensure that your STEAM and PC are compatible with ‘Dragon Ball FighterZ’. The best way of doing this is by running “Can You Run It” by ‘System Requirement Labs’. It’s a powerful tool which will tell you everything you need to know. It will also suggest specific upgrades which may make the game run faster. If your PC is compatible and you are still experiencing crashing or freezing then please besure to resort to your troubleshooting guide for your graphics card and motherboard. GUIDE: Is My Computer Compatible For This Game? Solution: Ensure that your Nintendo Wii U is connected to the internet. This will allow for it to automatically download the latest update for ‘Dragon Ball FighterZ’. If the game has no automatic update feature available then more than likely you will find it in the game settings. If your Nintendo Wii U will not update then please be sure to check your internet connection. Solution: Ensure that your Nintendo 3DS is connected to the internet through Wi-Fi. This will allow for it to automatically download the latest update for ‘Dragon Ball FighterZ’. If the game has no automatic update feature available then more than likely you will find it in the game settings. If your Nintendo 3DS will not update then please be sure to check your internet connection. If any of these problems seem familiar to you, then please comment below! We won’t be able to release an update or patch, but the more people who make us aware of these issues, the easier it is for us to notify developers of common issues, or at least find ways to help you counteract them. So if you are having trouble with ‘Dragon Ball FighterZ’ regardless of platform (e.g Xbox One / Xbox360 / PS4 / PS3 / Wii / PC / 3DS / Vita) then post the issue below and tell us about the problem. Also if you have managed to fix certain issues then please be sure to post below with how you fixed the problem. A Mecha Type Writer who can be sometimes found in the long grass of Tyria or Damacia, trying to be the very best, like no one ever was.